Lock in a great price for Hotel Las Costas – rated 9.2 by recent guests! Everything at this hotel was exceptional. The staff were so helpful & friendly. They really couldn’t do enough for us to make our stay comfortable. Such a great variety of food that everyone would love and the rooms were very clean, big and spacious with lovely balconies. We were there with 2 small children and the entertainment was also excellent. We will definitely return! Location, facilities, modern and spacious room and walk distance to the beach and shopping/restaurants area. We travel with our little one who is 2 years old and it was a great family stay. 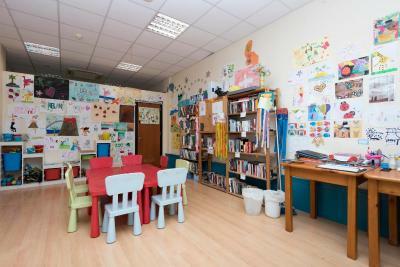 There are a lot of kids play area around. I strongly recommend to book a room with views. It is really worth it!! The staff was very friendly & worked very hard. We were upgraded to a fancier room & given a bottle of cava as I told them ahead of time it was our honeymoon. Loved the beach access. All the staff were extremely friendly and we were made feel very welcome from the moment we arrived.Kids Club staff were great with the kids they really enjoyed it.Hotel layout and location is excellent . Lovely relaxed atmosphere, staff excellent. Facilities, restaurant, pool area, location all excellent. Hotel Las Costas This rating is a reflection of how the property compares to the industry standard when it comes to price, facilities and services available. It's based on a self-evaluation by the property. Use this rating to help choose your stay! 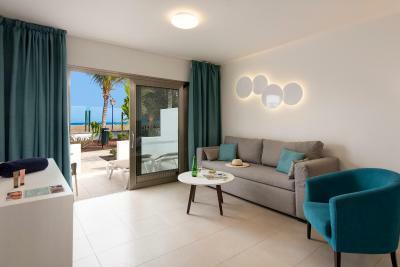 One of our top picks in Puerto del Carmen.Located on Pocillos Beach, the rooms at Las Costas feature a private balcony, free WiFi, a microwave and fridge. It offers a gym, hot tub, and outdoor pool with sea views. 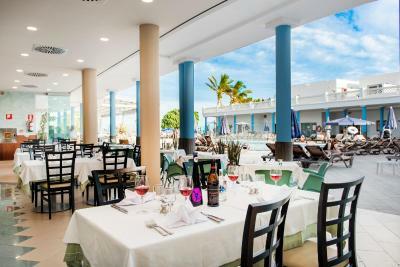 The buffet restaurant at Hotel Las Costas features a terrace. There is a poolside bar with hammocks, which serves light refreshments. Gluten-free meals are available on request. 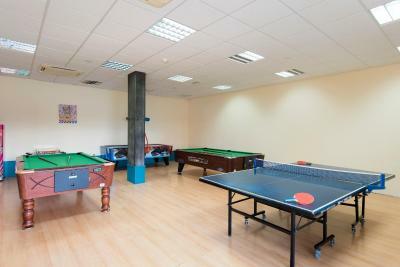 The hotel has a games room with billards, darts and table tennis. There is also an entertainment program for children. Wi-Fi is available in all bedrooms for an extra cost, and in reception for free. 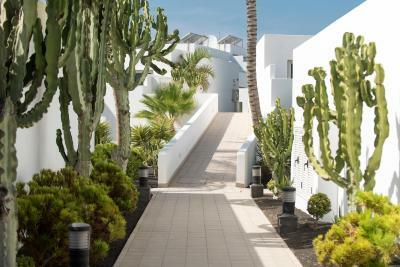 The hotel is located in the tourist area of Puerto del Carmen with many services, shops and entertainment nearby. Lanzarote Airport is 2.5 mi away. When would you like to stay at Hotel Las Costas? Featuring modern décor and a balcony or terrace, this room has partial sea views. 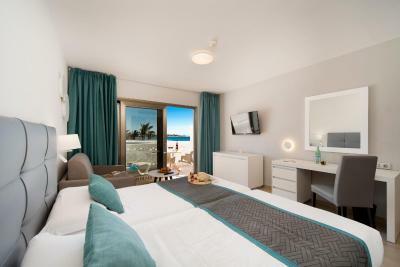 Featuring modern décor and a balcony or terrace, this room offers sea views. 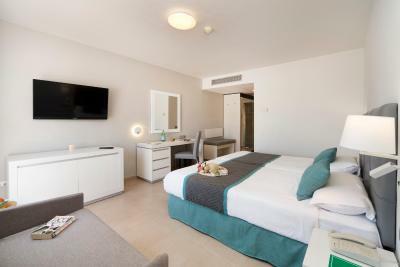 Featuring modern décor and a private terrace, this room offers views over the garden or the shared facilities. Featuring modern décor and a balcony or terrace, this room offers partial sea views. House Rules Hotel Las Costas takes special requests – add in the next step! Debit card Hotel Las Costas accepts these cards and reserves the right to temporarily hold an amount prior to arrival. Hotel Las Costas accepts these cards and reserves the right to temporarily hold an amount prior to arrival. Please note that gluten-free meals are available on request. The hotel considers children to be from 3 to 12 years old inclusive. Children over this age will be considered adults. This is a very well-maintained, low-rise, quiet hotel whose dining room is a well-oiled machine with an unbelievable variety of choices. And the drinks prices are reasonable too. It’s on the sea front and is also very handy for the buses, which we used to get around the southern part of the island for our daily hikes. We love it. Internet wifi in rooms very poor even the paid version. Staff very helpful and friendly ! Hotel room very comfortable, spacious and quiet! A very nice hotel! The only window in our room was the double door. When staying in the room, one needed to keep the curtains closed to avoid passersby from seeing in. Limited privacy. Excellent location by the beach, friendly staff and breakfast buffet were all great.